Nothing says elegance, luxury and glam like a gold wedding. Sprinkle a little glitz or go all the way. 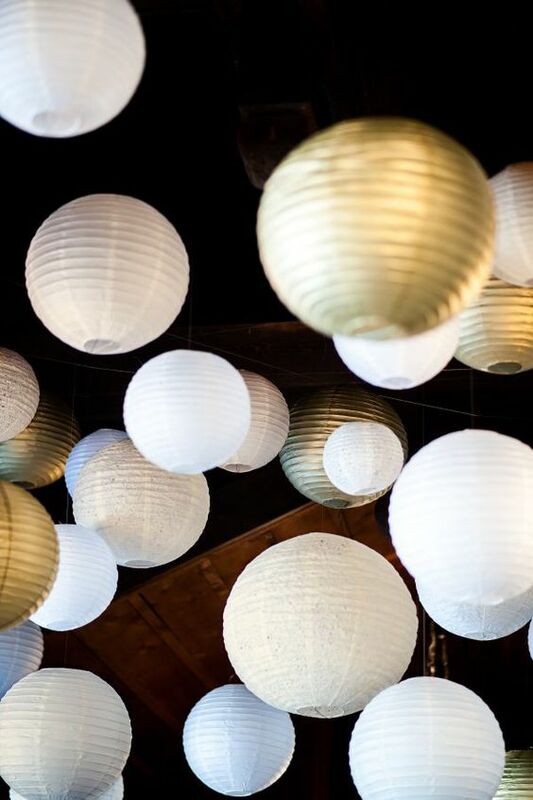 Transform your reception into a night to remember with these outstanding gold wedding ideas. 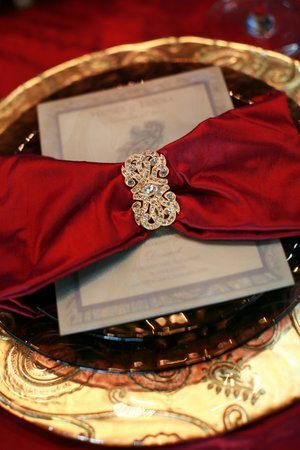 Glam gold wedding: Elegant place settings with red and gold. 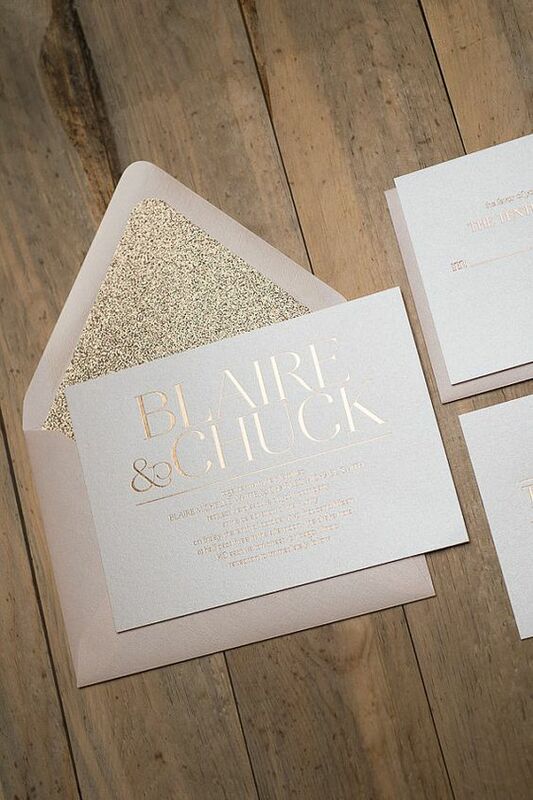 Metallics and gold in particular have become increasingly popular in weddings. From a single showpiece to an entire gold-themed wedding, gold is easy to combine with different wedding styles. Gold weddings allow you to try different accent colors. Metallics have made an entrance on the wedding circle and show no signs of leaving anytime soon. Gold will reign over the Parisian-themed wedding, which is back in 2017! French elegance and traditions will inspire you with touches of this timeless color! Read on and discover the best tips to decorate your wedding with gold. Although you may be tempted to go overboard with gold, its inclusion in the decoration should be handled with care. The theme and style of the wedding are essential in determining if you can go bonkers with this color, or if you should reduce its use to just a few details. 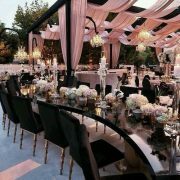 A Gatsby theme, filled with glitz, glamour, and opulence translates well into white or black and gold weddings. The same applies to an ultra glam wedding. On the other hand, a shabby chic or a rustic wedding could benefit from a few accents in rose gold or peach blush gold, or a dab of gold against teal or green. Gold deco wedding: A dramatic black and gold wedding cake will be a showstopper at your wedding reception | Square invites in gold and champagne | Shine in Chanel | Gold wedding tie with matching cufflinks and handkerchief | Art Deco vintage-themed gold wedding cake | Bridal shower invitation for a modern gold wedding. Glam ideas for gold wedding decorations: Show off your tablescaping skills! 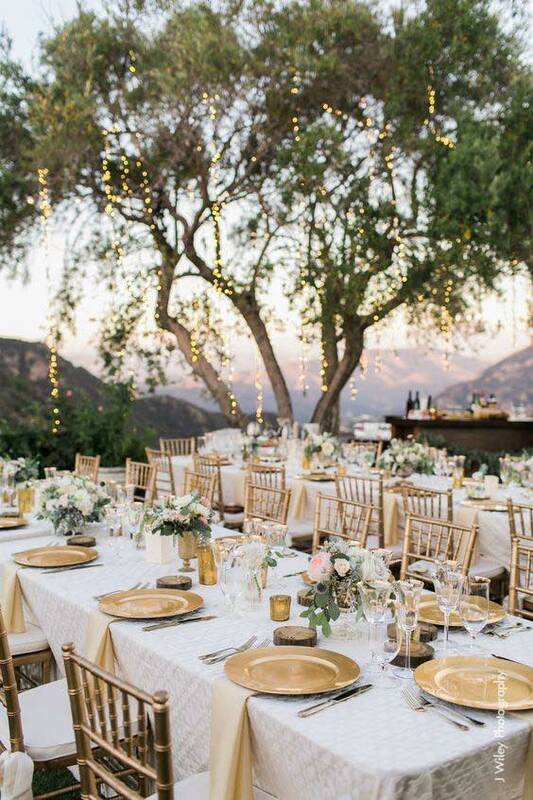 Gold can be included in the smallest details of your wedding reception. And given that tablescapes are vital to the aesthetics of your wedding, indulge and capture your guests’ attention with a sparkling table decor. 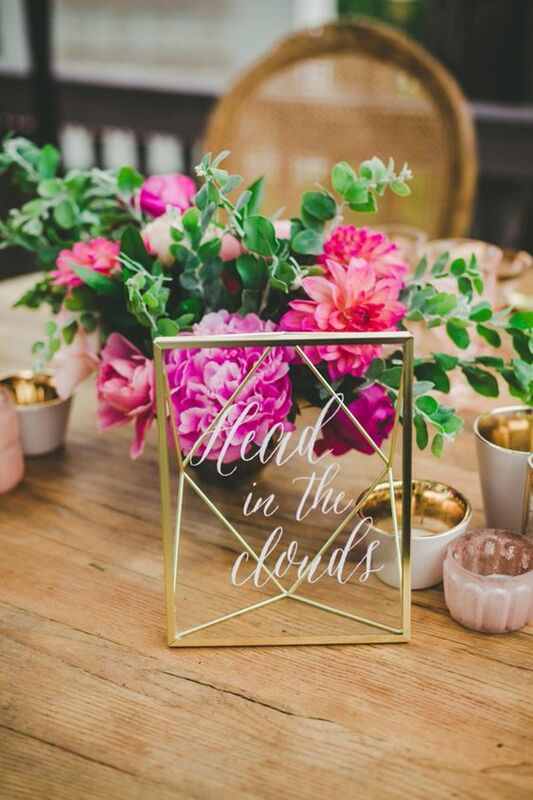 Here are some ideas for tablescaping your gold wedding. Add some dinnerware with gold-colored dye designs. 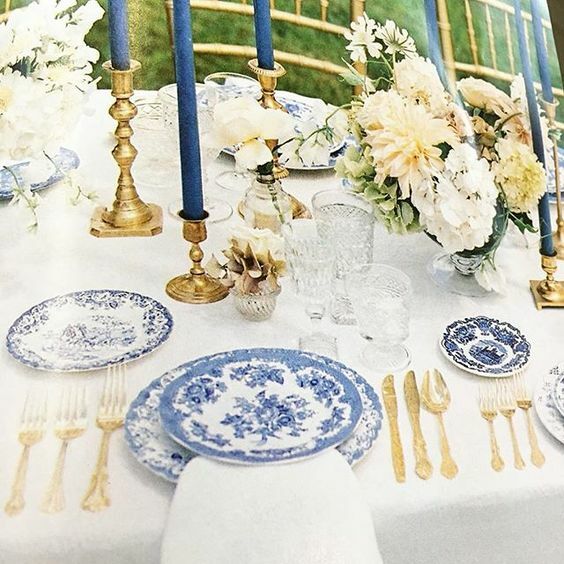 Tablescaping for gold weddings does not have to be about gold charger dishes alone. 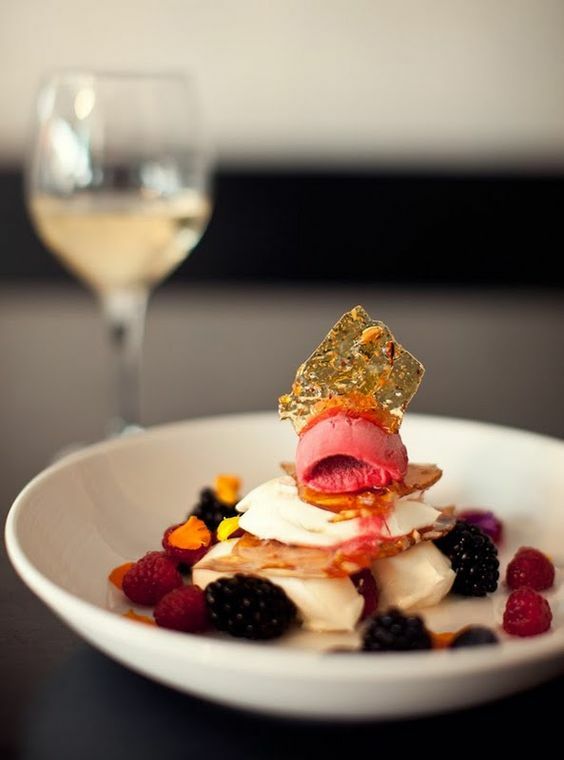 Spritz some gold on the wedding china patterns or on the glassware rims. For a romantic, modern, and elegant wedding, use white china and gilded tablecloth or table runners. Blue and gold wedding ideas 2017. Delicate, airy and perfect for an outdoor wedding. This would be a great table setting for a beach wedding. 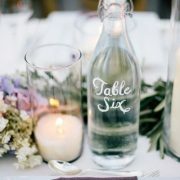 Without a doubt, centerpieces are the focal point of every wedding. The combination of flowers and their design truly impact the receptions’ decor. Give your centerpieces a golden touch with flowers, vases or by adding bottles of wine painted in gold. Mix in some gold and pink for a softer, high-end look. Go tall for an elegant feel or go low surrounded by candles for a romantic setting. Tuscan-style centerpieces are perfect for a gold wedding. Black candles on golden candlesticks can be a hit. Gold is quite easy to combine. Like we mentioned earlier, gold can be used as a wildcard or as the main attraction in combination with other colors. Gold goes well with navy, lilac, mint, pink, teal, emerald, green, ruby red, black or white. Your chosen combination will depend on your wedding style. Metallic gold and teal tiffany-inspired vintage wedding color ideas. For a spring wedding, choose warm tones like corals and peach to complement your golden wedding decor. Glam things up with purple with touches of green or gold, ruby red and black. Generous, deep colors such as plum and carmine red flourish with metallic accents of gold, brass and copper. Ornamental ensembles and shimmering, classy materials are eye-catching. Superb, rich colors like plum and crimson abound with metallic gold elements. 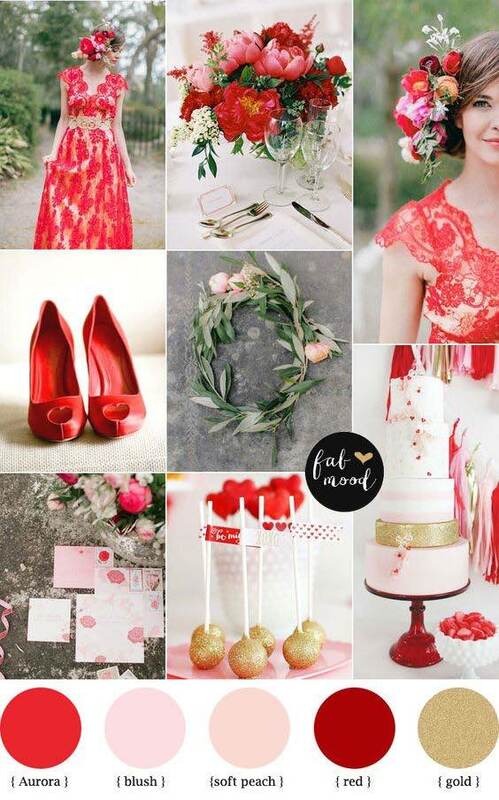 Aurora, red and gold wedding ideas. Latte brown, peach, white and gold are perfect for a fall wedding. Gold and navy are a classic that denotes elegance. 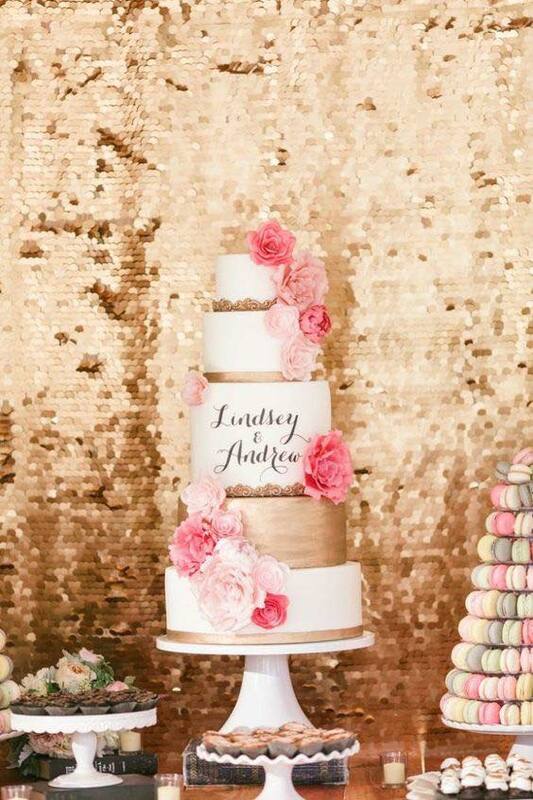 Pink and gold or rose gold will give your wedding a delicate, upscale and chic look. The absolute latest trend is to go 100% metallic as it makes for a very easy combination of different golden and copper tones. 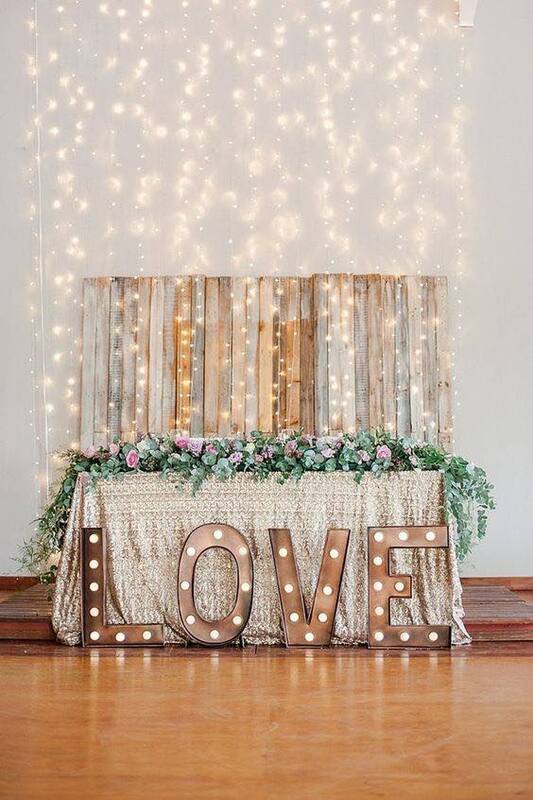 Your wedding decor no longer stops at the centerpieces and the flowers, but extends itself to the photobooth, the alternative guest books, the wedding cakes and even the desserts! The choice of a rich wedding cake, macaroons or cupcakes must also be tinged with some details on gold. Not only will these details look divine (and some even purely whimsical) but they will also delight your guests’ palates and senses. 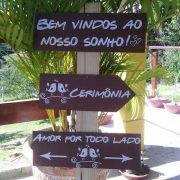 The choices are many, so there are no excuses to not surprise your guests with a dream wedding wrapped in gold. Check out these ideas! 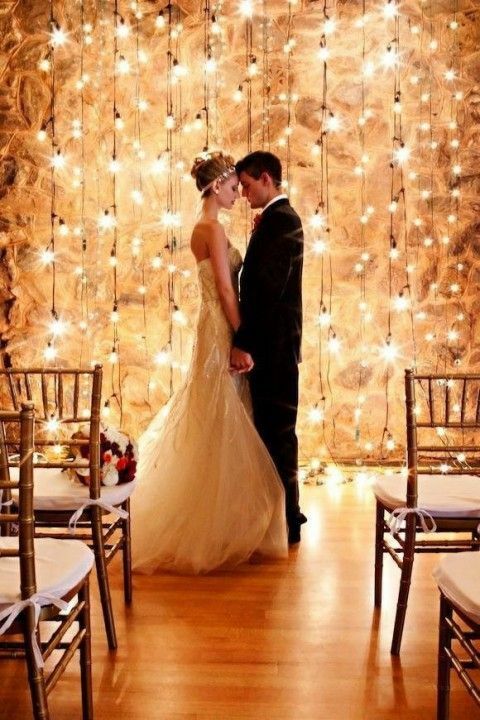 Which one of these superb and shimmery ideas and tips for gold weddings did you fancy the most? 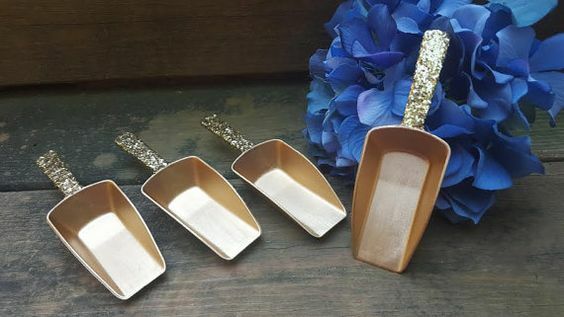 Candy buffet scoops for a gold wedding. A great detail that will not go unnoticed. 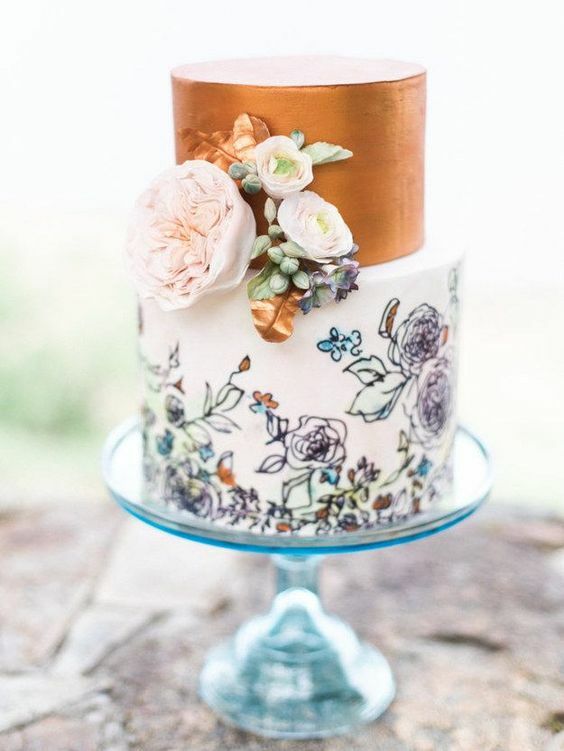 Wedding cake with painted blooms and a metallic top. Isn’t it fabulous? 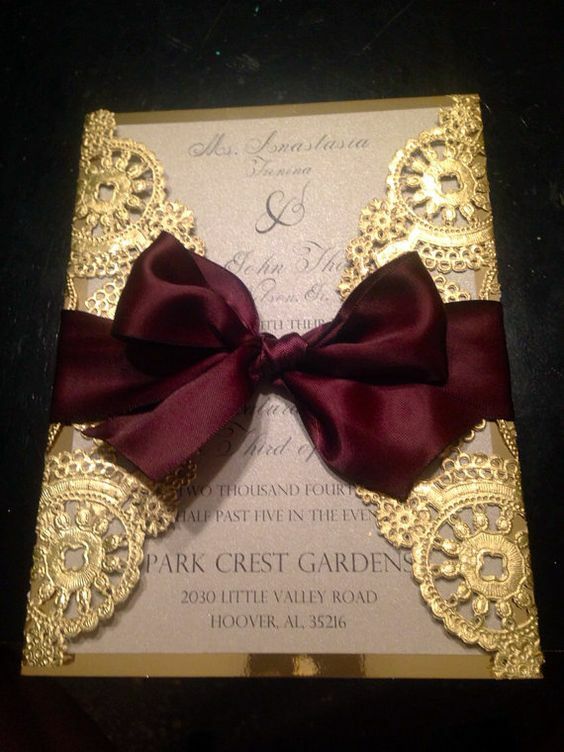 Golden wedding invitation with a crimson ribbon bow. Escape dress. Glitz and glamour. Add caramel lattice on top of the desserts and shimmer!! 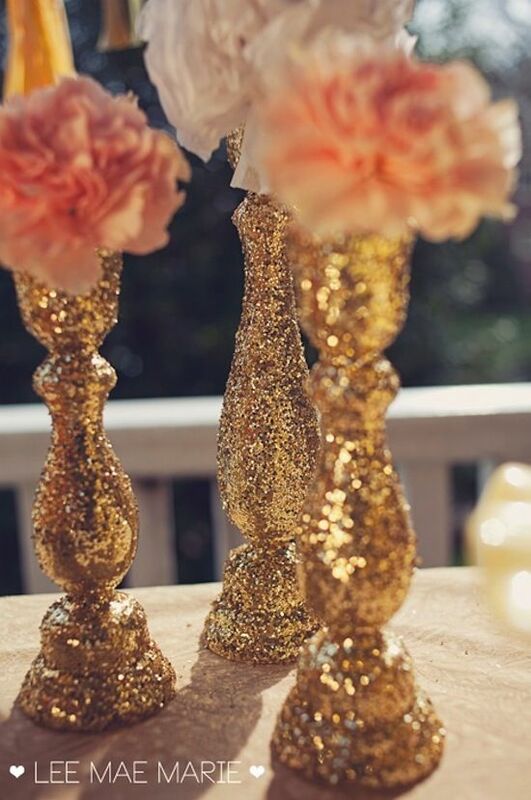 Decorate your own gold wedding centerpieces with glitter and make your wedding reception unique. 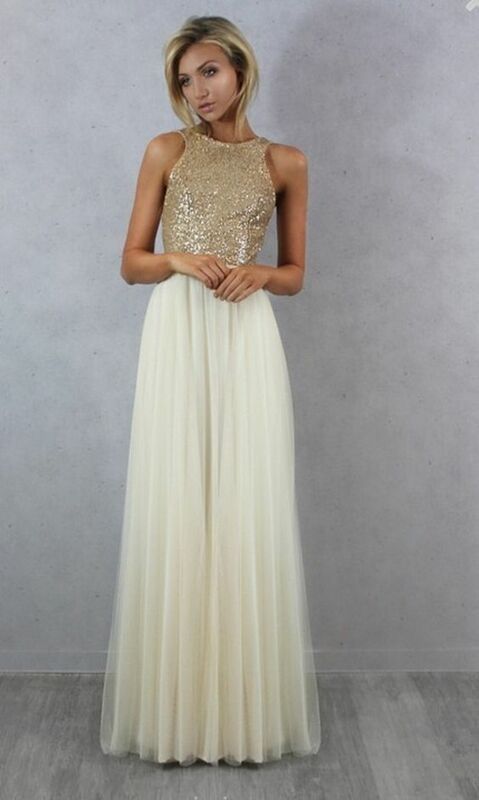 A very flattering bridesmaid dress for a gold wedding! Black and gold wedding ideas. Take a look at this slider packed with gold wedding ideas! 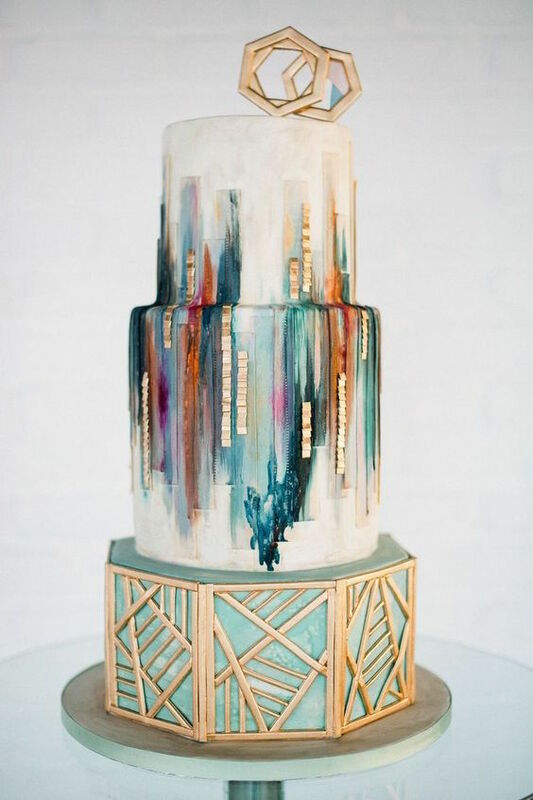 Boho wedding cake by Olofson Design. Incredible combination of watercolor, metallics, and geometric shapes! Oh Snap! 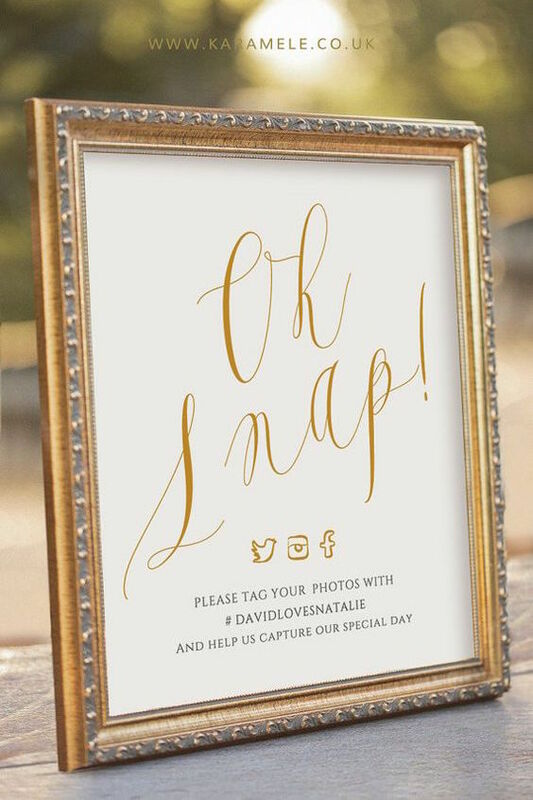 Social media wedding sign via Etsy. 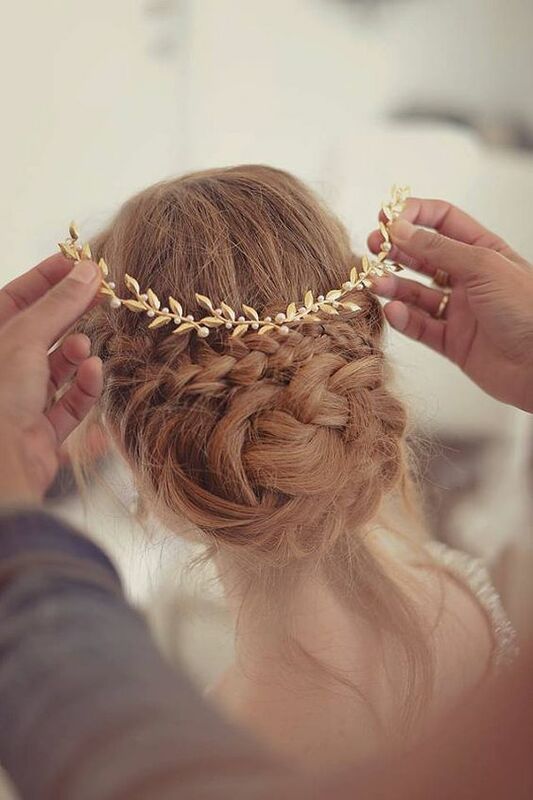 Gorgeous gold leaf bridal tiara via Etsy. 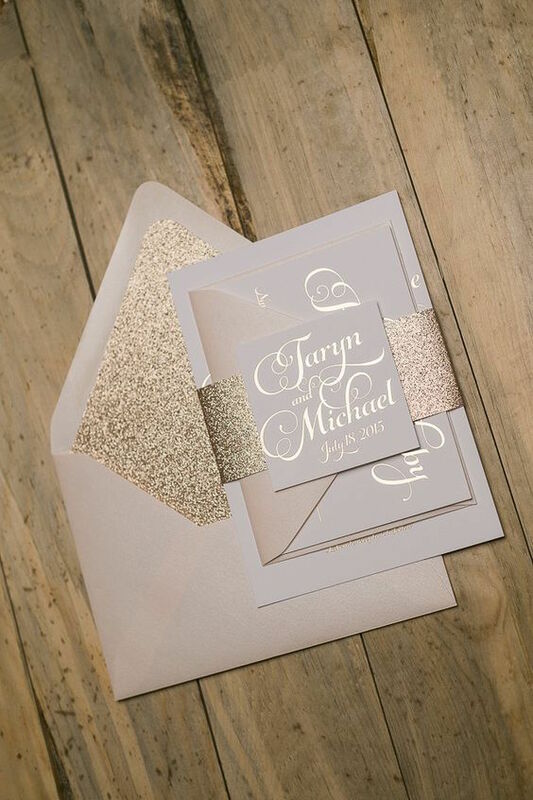 Rose gold foil wedding invitations. Rose gold foil stamping, blush and glitter wedding invitation set. 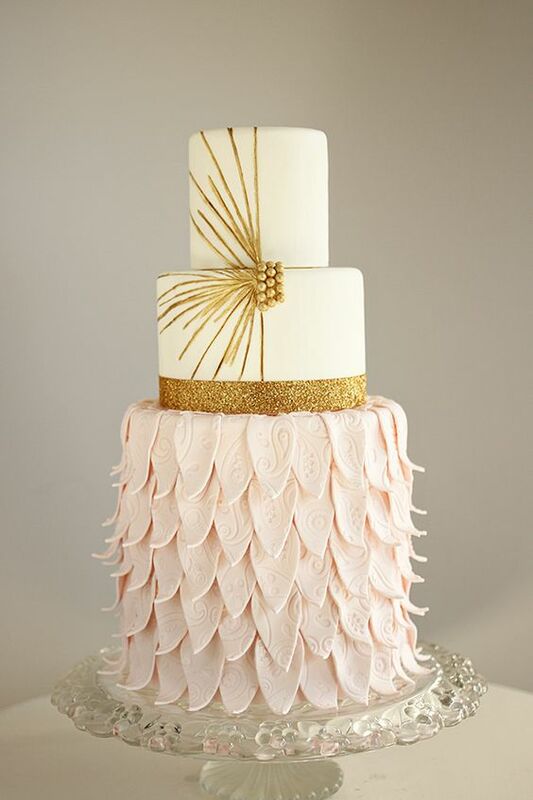 A delicious creation: white and gold wedding cake. 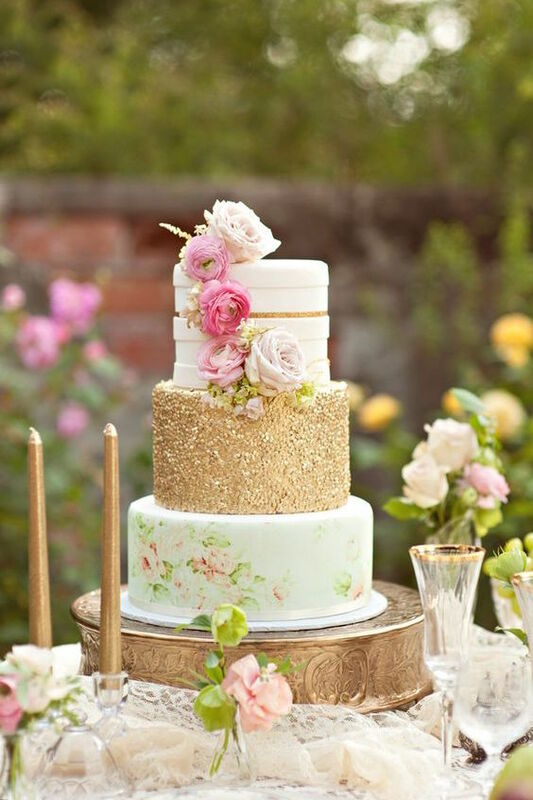 3-tiered gold wedding cake with flower details for an outdoor shabby chic wedding. 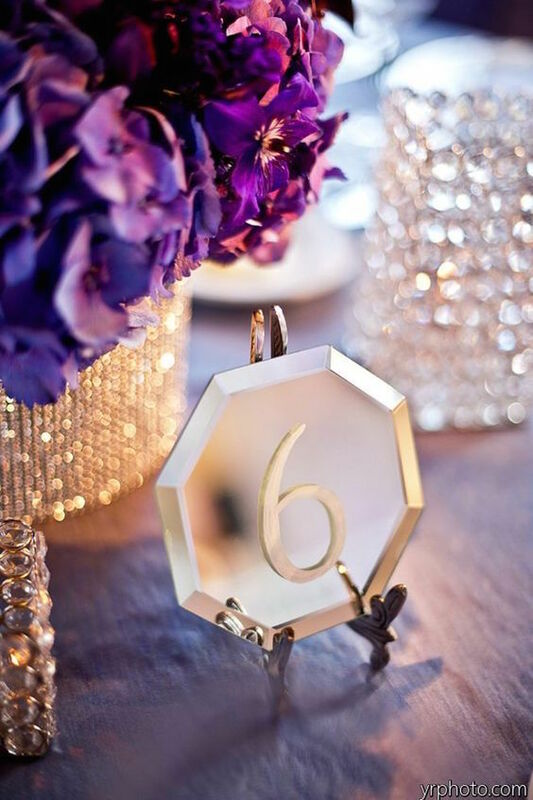 The new glam wedding trend: mirror signs as table numbers. Dreamy pastel and gold wedding photographed by D’amor Photography. Gold wedding reception decor packages’ themes are right on trend. 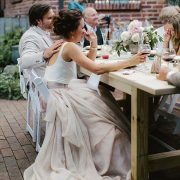 Tendencias: Vestidos de Novias con Pantalones para el Civil (o No) 19 Recuerdos de Boda con Paso a Paso Sencillos de hacer!